Personal Protection Tip: Do not tempt a home-invasion of your residence by inadvertently advertising to local hooligans in your community that you have just purchased something worth stealing. If you make a major purchase such as a large screen TV or a popular gaming console, do not place the box outside your home for garbage pickup. 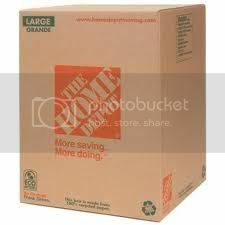 Instead, break down and tear up the delivery box into small pieces and discreetly dispose of it in a plain and solid colored garbage bag.